Ethiopia is Africa's oldest independent country and has the second largest population. Apart from a five-year occupation by Mussolini's Italy, it has never been colonized. It has a unique cultural heritage, being the home of the Ethiopian Orthodox Church - one of the oldest Christian churches - and a monarchy that ended only in the coup of 1974. It served as a symbol of African independence throughout the colonial period, and was a founder member of the United Nations and the African base for many international organizations. 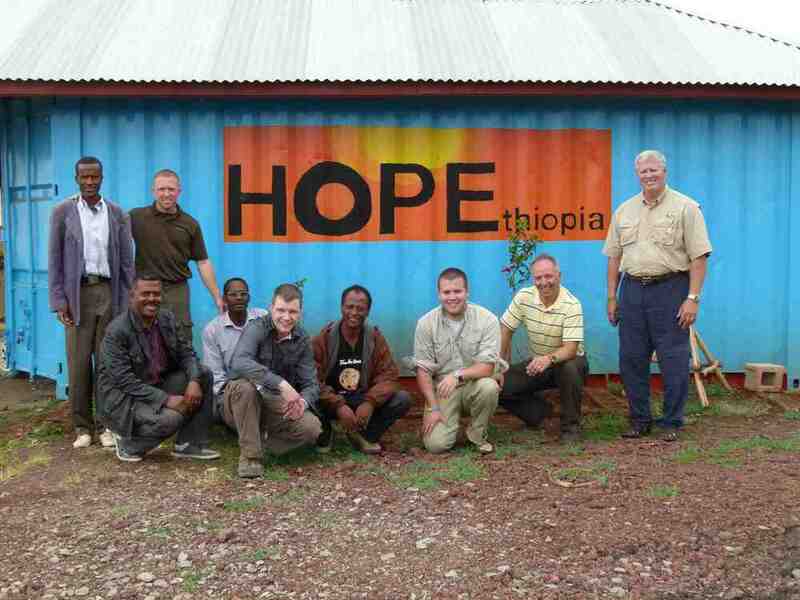 Medical Ministry International has partnered with HOPEthiopia, an organization based in Calgary, Alberta, that is committed to restoration of both the people and the land of Ethiopia. Medical Ministry International has been working together with HOPEthiopia to bring primary care, dental care, and vision services to the country since in 2015. HOPEthiopia works in several areas within the country: community development, sustainable agriculture, peace gardens, and reforestation. HOPEthiopia specifically works with orphaned children and elderly pastors, both very vulnerable populations. Harbu Chulule is a small region about 100km away from the capital Addis Ababa in the centre of Ethiopia, which is located in the Horn of Africa. Ethiopia is a landlocked country, and has suffered from drought and deforestation, thus food and water scarcity affect most residents. Many families rely on intermittent shipments from the World Food Programme. Water-borne illnesses are highly prevalent. There is a massive shortage of physicians in the country. * Project Description: These are optical and surgical projects in which the main clinic and surgery days are held at Harbu Chulule Health Center, Oromiya Regional State, about a ten minute walk from the Hopethiopia Volunteer facility. Patients are offered vision screenings, diagnosis, refractions, glasses, and scheduled for surgeries. We work with a local medical staff the first week and our MMI team members provide surgery during the second week. Small collections of Rx eyeglasses are prepared for the projects, along with reading glasses for those who require glasses after their consult. Dry season: October - February. Dry and temperate. Wet season: March - September. Wet and temperate. Travelers must present a passport, which must be valid for at least six months beyond the date of expected departure. Proof of yellow fever vaccination is required, if you have visited a country where yellow fever occurs. • International: Please contact MMI office or Raptim Humanitarian Travel for visa requirement if needed. Please email ALL CREDENTIALS upon application, as these must go to the Project Director in the country to be translated and then taken to the Ministry of Health to get temporary licenses prior to your arrival. • Health Care Students: Letter of Good Standing from your school (including year of study and graduation date). • All MINORS travelling with only one parent, or without their parents, will need a letter from BOTH parents stating that it is OK for the child to travel with one parent or an appointed guardian. The letter should be signed and notarized. MMI needs a copy of this letter, and the parent or guardian should carry the orignial letter while travelling. Once you have been accepted on the project, you can contact our designated travel agency to arrange your travel and coordinate your arrival the team. • US Applicants: Travel costs are arranged directly with the travel agent and are in addition to the Participant Project Donation. Direct Toll Free: 1-844-882-3233 and ask for the agents by name or extension. Lead Agents – Claudia (ext. 13302), or Michael (ext. 15004). • Canadian Applicants: Donations to MMI for travel are in addition to the Participant Project Donation. 905-465-4300 or Toll Free: 1-844-442-6978 & ask for the agents by name. Lead Agents - Anca (ext. 32327), or Connie (ext. 31771). • International Applicants: Travel arrangement can be procured locally or following the Canadian instructions above. We strongly recommend that you consult a travel clinic, as they are aware of outbreaks and can suggest preventative immunizations. All routine immunizations should be up-to-date. Please check the following website for the most current information. MMI will arrange local accommodations for the team. • Voltage: 220V(adaptor and converter required). • Meals: MMI will provide meals for the team. Dietary restrictions can be indicated on your application and we will do our best to accommodate your needs. Be sure to bring your own re-usable water bottle with a wide mouth for refilling. Purified water is supplied. If you would like to bring snacks to have throughout the day, please bring items such as peanut butter, granola bars, trail mix or pretzels and crackers in sealable containers (like Ziploc bags). The money in Ethiopia is the Ethiopian birr. Currency exchange should be available in Addis upon arrival. All major credit cards are accepted in Addis - Visa and MasterCard the most widely accepted (make sure to call your credit card company and let them know that you’ll be traveling internationally). Traveler’s cheques are not easily cashed. You must bring US dollars in good condition. Torn, stamped or old bills will not be exchanged. $100 bills older than 2006 are also not accepted. Ethiopia, officially the Federal Democratic Republic of Ethiopia, is a country located in the Horn of Africa. Ethiopia has a population of 87.9 million with over 80 ethnic groups, the two largest of which are the Oromo and the Amhara. Ethiopia uses the ancient Ge'ez script, which is one of the oldest alphabets still in use in the world. A majority of the population adheres to Christianity, whereas around a third follows Islam. The economy of Ethiopia was one of the fastest growing, however since severe droughts in 2009, agriculture has been severely impacted, specifically the main exports of coffee and maize. Still, agriculture constitutes around 85% of the labour force. Inflation rates as high as 40% led to subsequent difficulty with debt repayments and slowdown of growth. 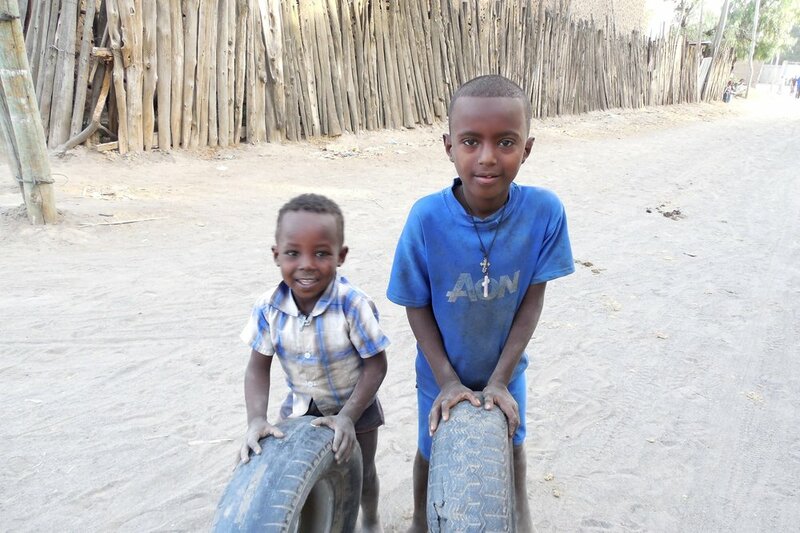 About 16% of the population in Ethiopia are living on less than one dollar per day. Major droughts have also affected the health status of the country: only 65% of rural households in Ethiopia consume the minimum standard of food per day , with 42% of children under 5 years old being underweight. This has led to high amounts of infectious disease that are exacerbated by poor sanitation, malnutrition, and co-habitation with livestock. Emigration of skilled professionals has resulted in a 'brain drain' in the country, and a severe shortage of skilled health professionals. It is estimated to have 1 physician for every 100, 000 persons, with most professionals concentrated in the capital. Despite this, infant mortality continues to decrease and rests at 8%, while life expectancy continues to increase: it is currently 58 years.